After two years of being in class with the same 21 people every day, I think I’ve gotten a pretty good handle on my classmates’ strengths, weaknesses, and personalities. Some are more laid-back, and some are more high-strung. Some try to find the positive in every situation, and others have a more pessimistic point of view, but everybody excels in different ways and has something unique to offer! Anyone who’s been in OT school before can probably tell you about the classic personality types you’ll encounter as an OT student, but if you don’t have anybody to ask, read on to find out what you have to look forward to! This post is Part I of a four-part series to help occupational therapy students and practitioners find ways to fund their OT education. Welcome to Part I of the Gotta Be OT “Funding Your OT Education” series! The goal of this post is to introduce you to my tried-and-true method of identifying, organizing, and pursuing funding opportunities for your OT education. Whether you are a prospective student, a current student, a new graduate, or even a veteran therapist with student debt to repay, this series will help you understand how you can get off on the right foot or get on track with your educational expenses. The holiday season is approaching quickly, and many OT students will have friends and family members asking what’s on their wish lists. If you are a current OT student or new grad, share this list to help make holiday shopping easier for the ones you love! You might even see some things you’d like to purchase for yourself. I’m a big fan of the reference clipboard for building confidence (and knowledge) during fieldwork, customized badge clips, and the 2016 AOTA Conference registration! Whether you decide to purchase an object or an experience, you can’t go wrong with these great gifts! Click through for links to individual items. 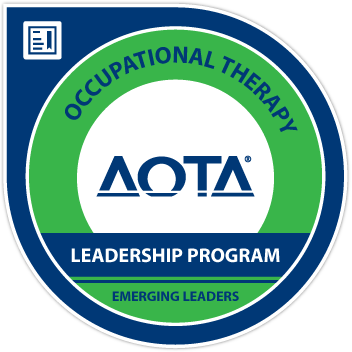 Do you have what it takes to be the best occupational therapist out there? 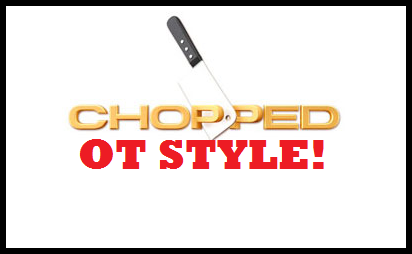 Find out on this episode of CHOPPED, OT Style! Today in one of my classes, we did a really fun and thought-provoking activity that was designed to integrate and test our understanding of the material we’ve covered since starting OT school in August. If you’ve ever seen the cooking show Chopped, then you might know what’s coming next. If not, I’ll explain briefly! On Chopped, several contestants are given a very short amount of time to assemble a tasty, well-plated culinary masterpiece. There are three rounds in the show, and each round the contestants use the contents of a “mystery box” to prepare their dish. Each person has to use all of the ingredients in their dish in some way, and they only have 30 minutes to make it! Each round, the person with the “worst” dish is eliminated, and the others continue on to compete with even crazier materials. It’s a pretty high-intensity show, and the randomness of the mystery box items is super entertaining – in one circus-themed episode, contestants had to cook with hot dogs and cotton candy. No joke. Um, good luck. Anyway, during class we broke up into small groups and did a similar activity.